Romeo the kitty is almost considered “Un-adoptable” by nearly everyone… Sadly he looks different from the other cats so nobody wants him. Romeo looks different, but he’s a sweetheart and loves having fun and playing. We think his heart is just purr-fect and all cats deserve a chance, but since nobody adopted this cat, he was adopted by Santuario Compasion Animal in Spain. Thankfully he now has the life he deserves and is getting the care he needs even though he was never adopted by anyone who saw him. Romeo reminds us that every cat deserves love no matter how he/she looks—SHARE this story with your friends!! 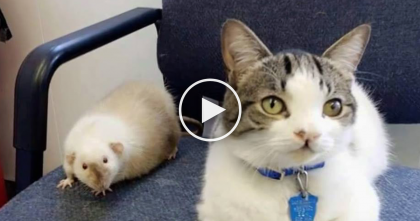 Kitty Notices Hurt Animals At The Shelter, But What He Does Next For Them?? This Is Amazing! 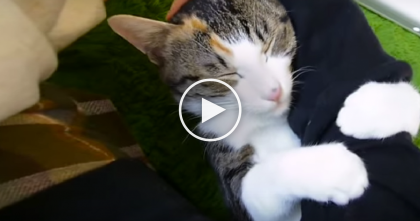 Kitty Refuses To Let His Human Go, And It’s The Cutest Moment…You’ve Gotta See It!! 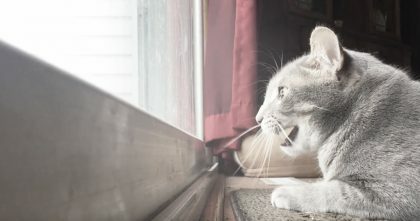 Kitty Sees His Favorite Thing Outside, But When He Responds… CUTEST Thing Ever, Awwww!! 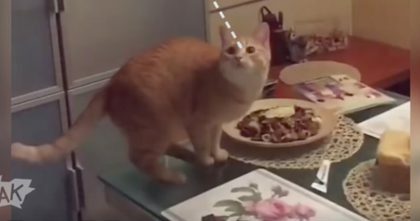 Kitty Tries To Catch A Bug, But Has A Cat “Malfunction” Just Wait For It… Oh My Goodness, LOL! !